If St. Patrick’s Day has you looking for more than just gold I’ve got some entertainment ideas for ya! 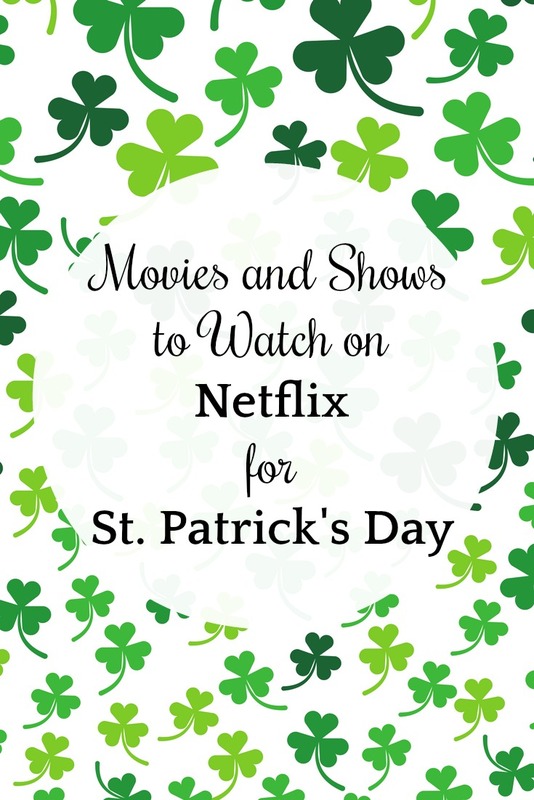 Check out these St. Patrick’s Day Movies and Shows on Netflix. There is something to watch for both kids and adults so everyone can join in the Irish fun. The trip to Dublin, the marriage proposal – she’s got it all planned. The unexpected romance? That she didn’t pencil in. Ireland, 1916: Militants rebel against the British. Loyalist or patriot? Three fierce women must choose their cause. When things get tough for this lovestruck teen, he’ll start his own rock band. Even if he hasn’t a clue how it’s done. A luckless tourist aid at the Dublin airport reconnects with his love of eight years earlier who is on standby for a flight back to the U.S.
From early Norman fortresses to posh 20th-Century estates, stone castles tell the tale of a millennium of Irish wars, politics, economics, and culture. This film takes a loving look at traditional Irish pubs and the people who run them, highlighting the special friendships they share with customers. Starring Jamie Dornan, this Netflix Original Film is based on a true story. Besieged by overwhelming enemy forces, Irish soldiers on a U.N peacekeeping mission in Africa valiantly defend their outpost. For the little ones, check out the kids section for Clifford: Lucky Charm! You should find it in the Clifford Series under Season 2. Wow there are so many choices! I’ll probably put on the Clifford special for my little ones, we love Clifford here. I didn’t know Jennifer Aniston was in the Leprechaun movie either! I love The Secret of Kells! That’s one of my favorites!